As you go through the process of setting up your own website, you will inevitably ask yourself the question, “What is web hosting?” Many people are intimidated by this query, most likely because it deals with a highly technical topic. If you search online, you will typically be bombarded with hundreds of web hosting service definitions, all of which come in varying degrees of complexity. But at its core, web hosting is quite simple. It is the process of providing space for websites on computer servers so they can easily be accessed on the internet. It is a paid service that is provided by web hosting companies at certain monthly or yearly rates. Usually, it is offered as part of a package along with other related services. Here at Crazy Domains, our hosting packages come with useful features as email protection, FTP file upload, multi-code support, website monitoring, and 24/7 customer support. Web hosting services offer cost-effective solutions for organizations of all sizes, from small organizations to global conglomerates. This is especially true for companies using websites and online applications that require ideal support responsiveness, top-notch security, 100% network uptime, and high-end IT infrastructure. These things usually require a huge investment from the organization itself. You’d have to spend money on hiring and training IT personnel to manage your servers and make sure your site runs smoothly 24/7 all year round. But by taking advantage of cheap UK hosting services, you will be able to extend and maximise the efficiency of your budget. You will no longer need to set aside huge amounts of capital for IT hardware and software. There will also be no need for spending time and money on the regular maintenance and upgrading of your data centres. Additionally, your IT personnel will be able to focus more on projects that are essential for growing and promoting your business. Another benefit of outsourcing cPanel hosting services is that you are guaranteed professional website assistance 24 hours a day, seven days a week, all year round. Here at Crazy Domains, we have an in-house team of experts who are always ready and willing to assist you with any concerns or questions you might have. Our technical and customer support representatives are highly skilled at dealing with different kinds of website hosting situations. This means, they will be able to help you with any issue or query, from knowing what a cPanel is to renewing your plan. Our team is also committed to working with our clients every step of the way, from the moment you enter our website to the time you actually take advantage of our hosting plans. Our goal is to make sure that our clients’ websites load quickly on all browsers and run smoothly across a variety of devices. Web hosting packages often have many useful features and freebies included in them to help improve the performance and efficiency of a website. Some additional services are also meant to assist individuals and organisations in the integration of online marketing strategies. Some of the most common add-ons include email marketing, one-click apps, malware protection, web tracking, WordPress access, FTP file upload, SEO programs, and website file backups. The key is to choose a web hosting package that not only fits your budget, but also provides the additional features that you need. This way, you can make the most of your investment. When you hire firms that offer cheap but fast and efficient website hosting in the UK, such as Crazy Domains, you are given the opportunity to take advantage of some of the most powerful web servers in the world. The technology we use is designed and built for high performance and scalability, so you can enjoy blazing website speeds and 100% reliability. This allows us to guarantee that your website will run smoothly no matter how much traffic it drives or how demanding its video content is. On top of that, we take great pains to make sure all our IT infrastructure components are properly managed and maintained. This way, we can maximise their efficiency and keep them secure. This also helps us avoid any issues that might hamper the performance of all our IT hardware. With professional site hosting, you can minimise the threat of viruses and malware attacks that can harm the design and performance of your website. Crazy Domains implements extensive security measures to safeguard your data from physical as well as online threats. Additionally, we offer a website protection service that you can take advantage of to make sure any security loopholes in your site will be spotted and eliminated before any serious issues arise. Different businesses have different needs and preferences, and it is the role of a UK web hosting service provider to offer premium yet affordable and efficient service packages that match the unique needs of prospective clients. Crazy Domains' professional account managers and customer service representatives will help you build a web hosting environment that is tailor-made to fit your specific requirements. We understand that your website needs might change as your organisation grows. This is why we have designed our hosting packages and plans in such a way that they can be easily adjusted to accommodate your new goals. As the name implies, this website hosting plan involves multiple accounts or websites sharing one physical server. Typically, each client will be provided with a separate account that will give them access to limited FTP accounts, memory space, bandwidth, email accounts, and database. Because of this, the service will work best for websites that don’t really need unlimited webspace such as personal websites, such as Wordpress blogs, or sites themed around engagement and wedding announcements, for example. This is also be a good choice for web pages that don’t require much uptime such as test and developmental websites. Since this is one of the cheapest web hosting types available out there, it is great for businesses and individuals with limited budgets. If you are not looking to share online resources with other users, then this option could be the best web hosting plan for you. With dedicated hosting, an entire server is devoted solely for you and your website. This means that your site will load faster and will be more secure. Also, you are free to customise the configurations of the computer according to your unique preferences. You will be able select the type and amount of memory you will have. You will also be able to install applications, programs, and tools your website requires whenever you like. Since this type of cPanel web hosting gives you total command line or cPanel access, you will be able to log in and perform commands direct from the terminal. Although this may require some technical knowledge, it will give you complete control over the computing resources. This is extremely beneficial, especially if you have highly specialised requirements when it comes to IT hardware. This is also a great choice if you want more control over the privacy of your data. This is one of the most popular types of unlimited website hosting these days. With this service, you will be able to take advantage of the resources of several servers in a network. This not only provides more memory space, but also gives you a large number of options when it comes to software and hardware. Another benefit of this service is that it is typically more flexible. You can use as much or as little resources as you need for a particular period. If you end up reserving too little or too much, you always have the option of scaling the service to handle your current website traffic. Because of these advantages, cloud hosting is best for websites that use complex programs and applications as well as experience heavy web traffic. What do I need to know about eco web hosting? In an effort to be more environmentally friendly, Crazy Domains offers cheap eco web hosting plans to our clients. We make this possible by using low-voltage computers and other hardware designed to reduce our energy consumption without sacrificing the quality of our services. We also practice other eco-friendly corporate practices such as implementing sustainable equipment disposal programs. This way, you can make sure that when you purchase our plans, you are not only securing reliable and fast hosting, but also reducing your carbon footprint and looking after the globe. Choosing to go with a sustainable web server hosting shows that your organisation is conscious and careful about your overall environmental impact. It reflects good values and a sense of responsibility. This can improve your brand’s public image and encourage customers to choose you over your competitors. After all, people work with organisations that care enough to reduce their impact on the environment. Going green with your website hosting is a decision that will benefit your company for many years to come. Aside from improving your corporate image, opting for a more sustainable WordPress web hosting platform is also good for your budget. Because this service requires less energy, it gives webhosts the opportunity to save money on utility expenses, resulting in lower hosting costs. Because of this, green website hosting offers more long term financial savings compared to its traditional counterpart. Wouldn't it be wonderful to be able to reduce your costs and save the Earth at the same time? Green technology is more than just a trend: It is a competitive edge that puts businesses ahead of others. Eco web hosting has become a requirement, with consumers preferring to work with establishments that are conscious about their environmental impact. People want brands that are responsible and are willing to shell out more effort and expense just to provide sustainable products and services. You can use the fact that you’re investing in a sustainable and cheap web hosting plan to give your Google advertisements a boost. This will not only help you grab the attention of more potential clients, but also prove that you are a company worthy of consumer trust. How do I choose the right web hosting service in the UK? Web hosting services in the UK are available at a wide range of prices. Costs can depend on the technical specifications of the plan, and the add-on features. The length of service and number of domain names or websites you wish to host will also affect the price. Before you start your search, make sure you already have a budget in mind. This will help narrow down your choices and make the selection easier and more convenient for you. Doing proper research will help you set a budget is both realistic and easy to stick to. Here at Crazy Domains, we offer cheap website hosting packages that would be the best fit for entrepreneurs, professionals, and even students. Our goal is to provide our clients with top quality web services that are affordable, fast, and reliable. Aside from deciding on your budget, you also need to be clear on the requirements for the website hosting plan you want. Start by determining what kind of website you’re planning to run and what your future plans are for it. For instance, if you want something like image hosting websites, which contain many large files, you will need a hosting package that offers unlimited memory space and bandwidth. But if you’re only planning to set up a WordPress blog or a corporate site with limited images, a plan with a smaller disk space and bandwidth would be the best choice. 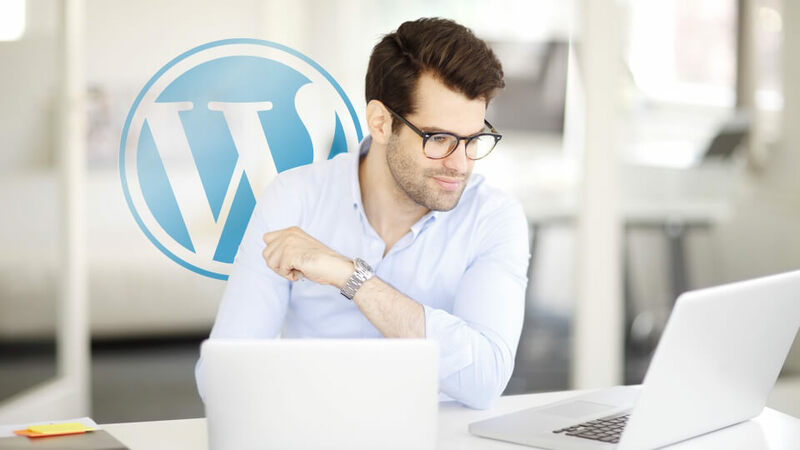 Make sure you are aware of the technical specifications and limitations of the WordPress web hosting package you want to get. Take time to do proper research and take note of the important points that will affect you. This way, you can rest assured that the hosting plan or package you choose will have enough resources for your website to operate efficiently. Whether this is your first time getting a cheap web hosting plan in the UK or you’re a veteran digital business owner, it essential to have a reliable customer support team to help make sure your website always runs effectively and smoothly. This is exactly what we offer here at Crazy Domains. Our highly trained and skilled customer support specialists are available 24/7 and you can get in touch with them via telephone, online chat, or email. With their expert assistance, you can avoid downtime and other issues that may negatively affect your company. This is especially true if you are new to the whole process of getting an affordable, but fast and reliable, WordPress business web hosting service. Keep in mind that this is a significant investment for your brand, so you must make sure all your questions are answered before you make your final decision. The Crazy Domains technical and customer support team will be glad to assist you at every stage of the decision-making process. From the moment you visit our website, a customer service specialist will be available to answer any queries you might have. They can give you useful information on how to host a website, what a cPanel is, what WordPress hosting is, and other such questions that will come to mind during your selection. They can also help provide definitions on technical jargon you may be unfamiliar with and clear up any misconceptions you might have about choosing a WordPress hosting plan or package. And, of course, they will be more than happy to assist you with selecting the best package for your budget and website preferences. This is our way of making sure our clients are happy and satisfied every step of the way. Last, but definitely not least, you must determine the scalability of the plan you’ll be getting. You need a web hosting package that will be able to accommodate the changes your website will most likely experience over time. You may be starting with a small and simple site now, but in the near future, it can develop into a complex site with lots of dynamic web content and a large number of visitors. This may mean you’ll start off with a small, affordable but efficient package, with a shared web server and later on upgrade to an unlimited web hosting plan. The latter may cost a little more than other packages, but it will provide you with unlimited disk storage, domain name capacity, and website data transfer. This is especially beneficial for growing and large websites as you won’t have to worry about traffic spikes and downtime possibilities. You can rest assured that your website will always load quickly and run smoothly.